I’m grateful for the many ways that our faith communities and leaders have embraced our theme this year of focusing on relational evangelism and thinking about how our churches need to change to engage the changing times around us. We began the year with Equip 2018 - a training on relational evangelism at all levels. We then followed it up using Tod Bolsinger’s book Canoeing the Mountains. We utilized Super-Charged as a way of continuing to inspire and teach about how we can engage our changing communities. As of today, I can say that a significant majority of our churches have read Canoeing the Mountains. I hope you will continue to think about its teachings and how you can implement some of its ideas. For 2019, our District Operations Team has set the theme of discipleship. We have discovered that only a few of our churches have a functioning discipleship process that not only engage unchurched and dechurched people, but also grows them into the likeness of Jesus and then equips them to serve others. Candidly, I think many of our faith communities believe they have a discipleship system, but in reality do not. Sunday school or small groups alone are not a discipleship process. The core of our Methodist DNA from the very first days of John Wesley has been a discipleship process that started with relational evangelism and then led to different levels of teaching, equipping, and accountability. Wesley used Methodist Societies, Classes, and Bands to accomplish this. Sadly, prior to the Civil War, the Methodist Episcopal Church removed the language from The Book of Discipline that required class meetings. Many church historians and missiologists point to that decision as one of the reasons for our decline. On February 9, 2019, we will host Equip 2019 at CrossRoad Church UMC in Jacksonville. This is a mandatory event for all churches. Each clergy person will need to attend with a team from her or his church. The Rev. Dr. Kevin Watson, assistant professor of Wesleyan and Methodist Studies at Candler School of Theology, will be our keynote speaker. He has written an excellent book, The Class Meeting: Reclaiming a Forgotten (and Essential) Small Group Experience. Your lay leader received a copy of this book at Super-Charged Conference and we encourage you to read it before coming to the event. He has also written The Band Meeting: An Invitation to Intentional Relational Transformation and A Blueprint for Discipleship: Wesley’s General Rules as a Guide for Christian Living. I recommend them as well. Registration is now live for this event! We want to empower our faith communities to be better at canoeing mountains and then have excellent discipleship processes in place to form and grow followers of Jesus. Please make plans now to attend and learn from one of the preeminent thought leaders on this subject in the Methodist world today. Lastly, as we turn toward the celebration of God “moving into the neighborhood,” as Eugene Peterson put it in The Message, I want to wish you and your families a blessed and Merry Christmas! I pray that 2019 is a year filled with opportunities for you to serve Jesus and love others! God bless you! As we come to the end of the 2018, we all need to pause and reflect on all the events that have influenced our church families. As part of that reflection, it is recommended that all churches take the time to review all their plans including church disaster and emergency response plans. Your District Disaster Coordinators are available to support reviews of disaster and emergency response plans for all churches. For those churches that do not have disaster or emergency response plans, the District Disaster Coordinators are available to assist in the creation of those plans. Contact Fred DeWitt at 904-502-4638 (email at ddc.i@hotmail.com) or James Mitts at 407-466-1023 (email at majormitts@gmail.com). Preparations made now will lead to reduced stress and anxiety should you experience a disaster-related event in the New Year. Due to vacation and holidays, the District Office will be closed from Friday, December 21, 2018 through and including January 1, 2019. We will reopen and respond to all calls and emails on January 2, 2019. The Christmas season is here again, and we ask that you please keep the beautiful children of DLC Nurse & Learn in your hearts during the holiday season. Christmas is a time to reflect on the wonderful things God has brought into our lives this year, and the many blessings that have touched our hearts. There is no greater joy than seeing a child overcome a major obstacle in their life. At DLC, “Anything is Possible” for our precious children. We ask that you please consider giving within your means to our children this Christmas. We know there are many charities doing incredible work in our community, but there are none quite like DLC, providing nursing care, therapies and child care to children of all abilities. Our services help the entire family, noflumc-ne@flumc.orgt just the child. DLC has provided over $4,000,000 dollars in free services to our children with special needs since 1989, and this couldn’t have been done without our wonderful and devoted donors. This coming year will mark 30 years of service to our children and families! Your donation can be sent to the DLC Office location: 4101-1 College Street, Jacksonville FL 32205 or online at www.dlcnl.org. Is your church is celebrating a significant anniversary in 2019? If so, the Conference Archives & History Department would like to know so your church can be recognized at Annual Conference 2019. Please notify Nell Thrift at thriftmail@aol.com and copy the District Office (flumc-ne@flumc.org) on any correspondence. Since 1996, the General Conference of the United Methodist Church has required that each local church congregation have a child/youth protection policy (CYPP). The Florida Conference has been a pioneering force in implementing this mandate and establishing a template for local church use that would highlight our core value of safety and security; acknowledging that all people, especially children, are important to God. A strong, broad-base policy template was developed and then updated in 2009. Since that time, we have collected questions, concerns and suggestions from many sources around the Conference. Using this valuable input and guided by Scripture, the Book of Discipline and civil law, we offer this latest update to the CYPP Template. Changes to the 2009 template appear in the update in red. (Click here for the 2018 document.) The template will be available in Spanish and Creole by 12-01-18 and will be posted on the Ministry Protection web pages of the Conference website. Local churches and conference-affiliated ministries should use this template to update their own policies by April 30, 2019. Copies of updated church policy Adoption Agreements (page 13 of the template) are to be sent to the church’s District Office by that date. SPECIAL NOTE: Florida Statute 943.053 now mandates a minimum fee per name submitted for a Florida Criminal History Database check; that fee is $24.00. Additional fees may apply to perform a national criminal background screening; however, access to the Sexual Offender Registry remains free. Should you have questions on the template update, please feel free to contact us at ministryprotection@flumc.org. Pierson UMC has 18 white choir robes and green stoles along with 50 Purple Pew Bibles RSV for anyone who needs them. If your church would like them, please contact Rev. Wayne Burt - wayne_burt@att.net. The church also has a need for a large projector screen. If your church is doing some housekeeping and has a large screen they would like to donate, please contact Rev. Wayne Burt - wayne_burt@att.net. 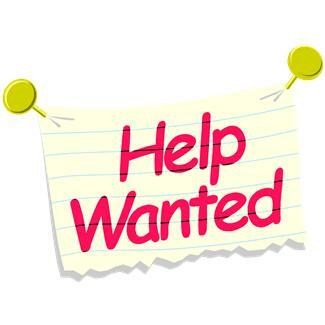 Memorial United Methodist Church is hiring a part-time Audio/Visual Tech Coordinator. This organized person must have a strong commitment to follow-through and working with a team. Candidate must have a working knowledge of Apple Mac ecosystem and platform, iDevices, ProPresenter, and Microsoft Office. Position requires 15 hours a week, most of which on Sunday morning from 7am-12:30pm. Submit resume by Dec 31, 2018 to Joan at Memorial UMC, 601 Centre Street, Fernandina Beach, FL 32034 or joan@mumconline.com.